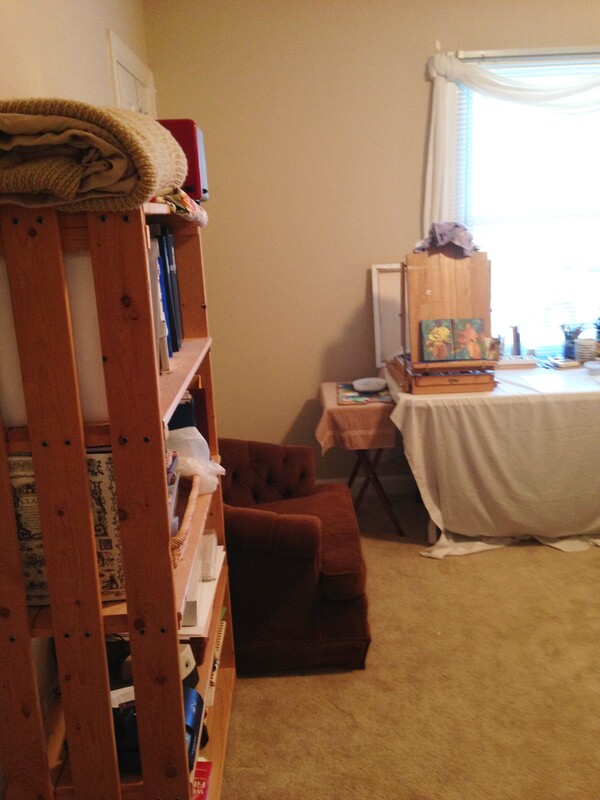 I have spent the last two posts complaining about my lack of creating space and in spite of the fact I was getting projects done, how frustrating the situation was. Well, it’s funny how life sometimes gets tired of hearing me whine (or those close to me put in a few heartfelt prayers for relief). You know that bedroom that my son occasionally lived in when he was home from college? 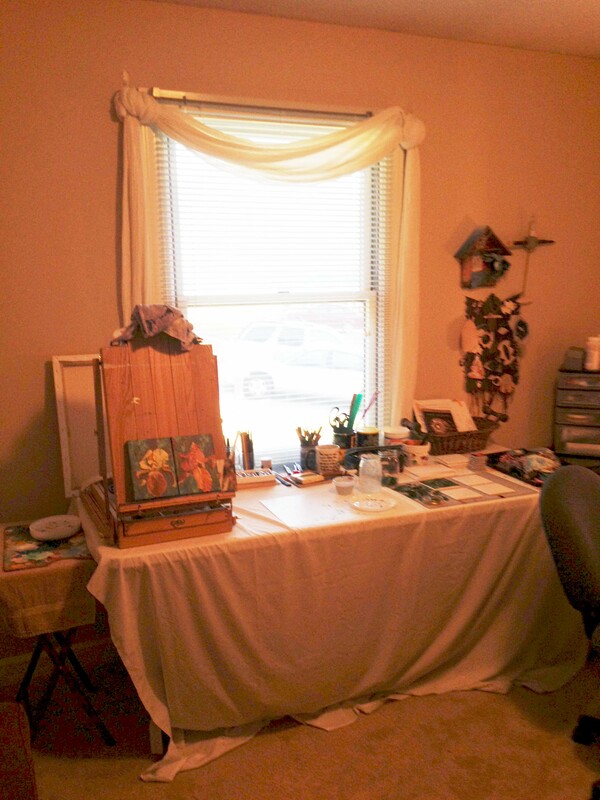 The same one that I squeezed my desk and easel into? The one that was often covered with teenage male debris when he stayed for awhile (oh, I don’t think I had mentioned that earlier)? IT’S ALL MINE NOW!!! Yes, at the last possible second, the boy pulled a job out of his backside, just in time (and with just enough money) to afford to rent an apartment over the summer at the beach (where he actually attends college). I gave him just enough time to fill out the application and pay the deposit, then started boxing his stuff up and with the help of my boyfriend, hauled it all to his new apartment. 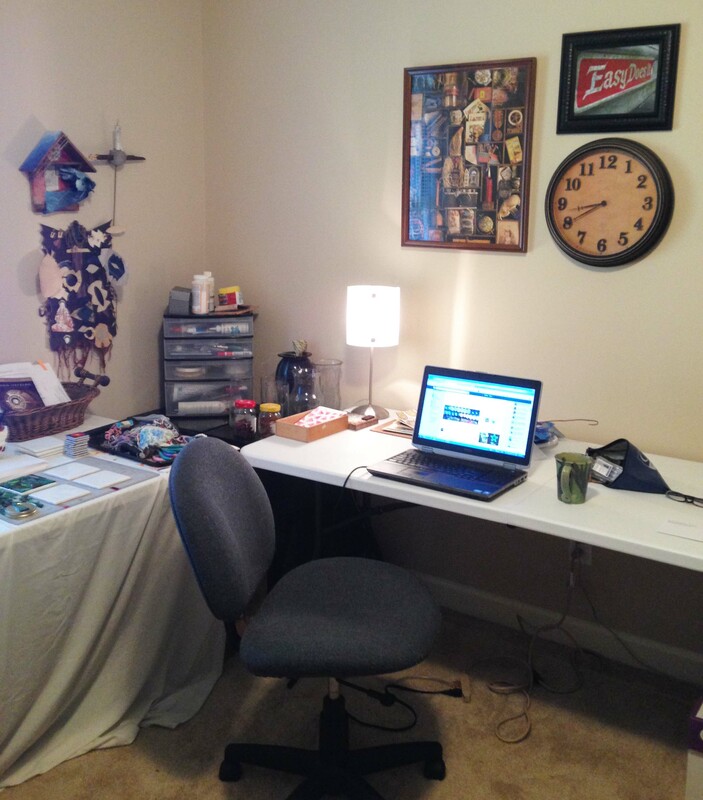 Don’t get me wrong, I miss him, but he was ready to leave the nest and I was seriously coveting that room! 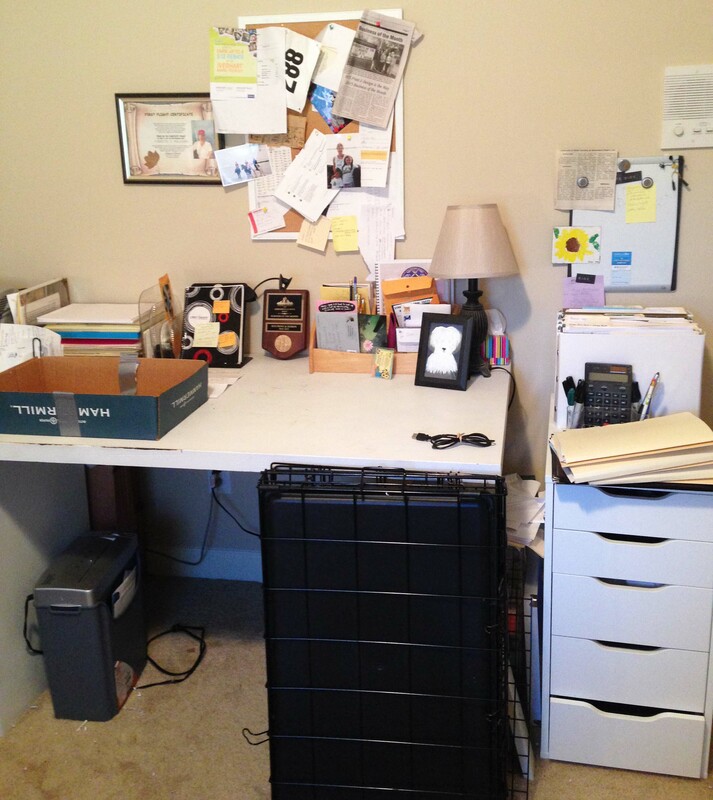 So here it is…ta,ta,ta,da….MY NEW STUDIO! These photos were taken in haste and this is the unedited, unorganized, absolutely honest, still with Arden’s artwork on the walls, way it looks at the moment. I will post the spiffed up version if I ever get it spiffed up. I have already spent hours and hours of time happily listening to podcasts and playing with all my toys spread out over all those tables. Oh happy day! Next week I will be on vacation, but while I am away I will leave a post scheduled to show just what I have been doing in that room. I have at least doubled the amount of artwork (Why is it called artwork? It should be artplay most of the time.) from what I could do on my eating/laundry/art table.